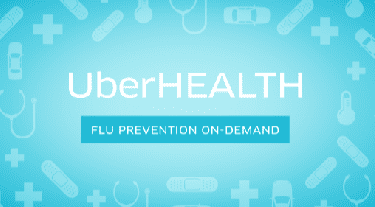 Uber Offers Free Flu Shots in Boston Today, October 23, 2014! Uber is launching a one-day pilot program today called UberHEALTH. Uber has partnered with Vaccine Finder to bring flu prevention packs and flu shots to you with the touch of one button on your mobile app Uber. If interested, you will receive a flu prevention pack and the option for a free flu shot from a registered nurse. Uber will also donate $5 to the Red Cross to support vaccination efforts for children. UberHEALTH will be available from 10am to 3pm in Boston, New York, and DC. For more information about UberHealth, please head here. If you can’t take advantage of UberHEALTH today but are interested in a free or low-cost flu shot in the greater Boston area, please head here.